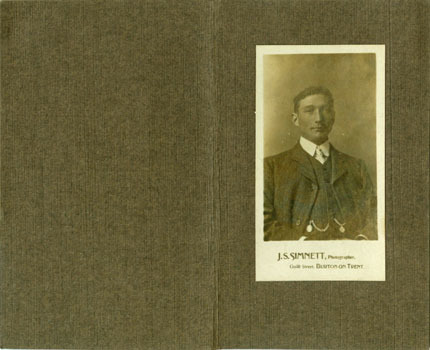 John Simnett and his sons J.S. and A.J. 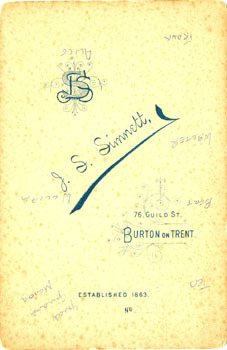 Simnett operated studios in George Street, Station Street and Guild Street, Burton-upon-Trent from as early as 1868 until at at least the 1940s. 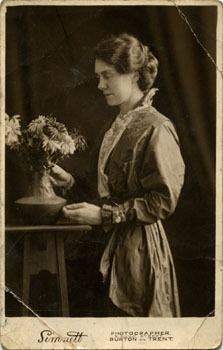 Although these studios were not actually located within Derbyshire, in the early years they would have served parts of South Derbyshire. 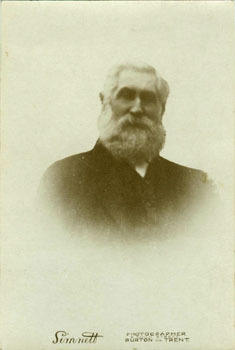 John Simnett was born at Burton-upon-Trent, Staffordshire in 1839, seventh of eight children of shoemaker and temperance hotel keeper John Simnett senior (born c. 1802) and Mary née Bennett. As a young man in 1861, he worked as a printer's compositor in Derby, perhaps for the firm of Bemrose & Sons. 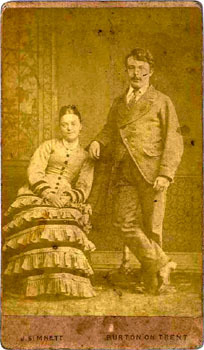 In 1863, John married Sarah Spencer (1839-1910) in London - they lived at 154 Station Street, Burton-on-Trent, and had six children. 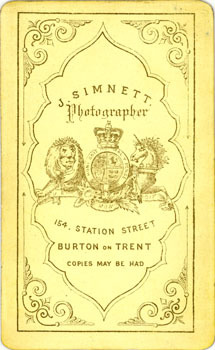 John Simnett claimed, on later card mounts, to have started working as a photographer in 1863. 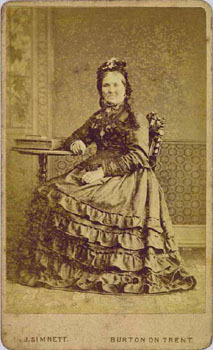 By 1868 he had a studio situated in George Street, Burton. 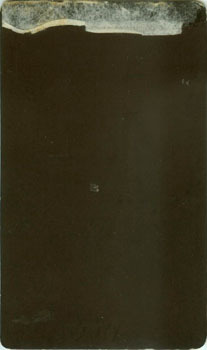 In 1871, however, he was living at 154 Station Street, and presumably had moved the studio to these premises as well. 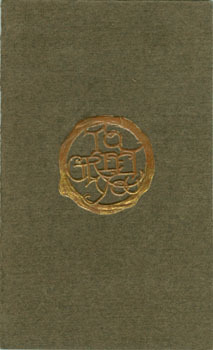 By 1881, his eldest son John Spencer Simnett was working as an assistant in the studio. 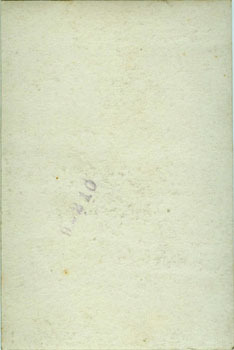 They remained at this address until his death in 1888, at the age of 49. 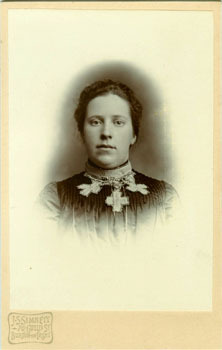 Sarah and children then moved to 76 Guild Street (where the studio was listed with premises in 1896 and 1900 trade directories). His eldest son, in the mean time, married Henrietta Wright at Leeds in 1889, and they settled at 56 Scalpcliffe Road in nearby Stapenhill. 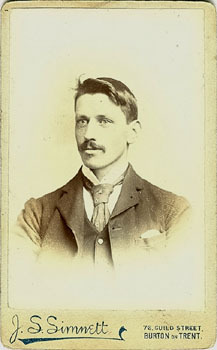 The 1891 Census shows him as a photographer, and his younger brother Albert Josiah Simnett working as an assistant in the studio, but by 1901 both of them were described as photographers. The business was listed as J.S. 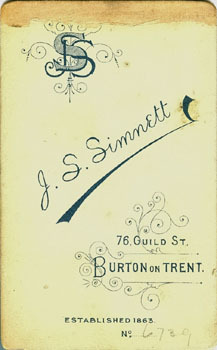 Simnett at 2 Guild Street in trade directories from 1912 until at least 1940, and is still in existence today (J.S. Simnett Photographers). Notes: The young woman at left is probably the same one who is the subject of portrait shown above. Notes by DM: My grandfather Thomas Edwin Mason was born at Burton-on-Trent on January 4, 1873, and died at Vancouver, British Columbia on April 22, 1955. 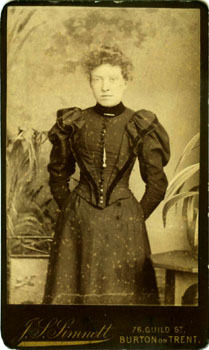 I estimate the portrait was taken about 1895. Notes by DM: (Back row L-R) Thomas Edwin Mason (b. Burton on Trent Jan 4, 1873 d. Vancouver, B.C. 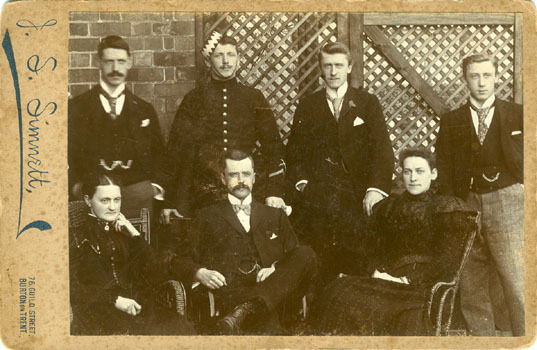 Apr 22, 1955), George Herbert Mason (b. Stapenhill 1877), Walter John Mason (b. Stapenhill, Sept. 1878 d. 1945), Frank Harold Mason b. Stapenhill 1880 d. Leeds 1964); (Front row) Eliza Ann Mason née Smith (b. Longton, Staffs. 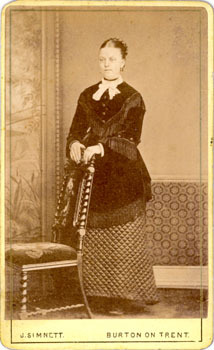 1848, d. Stapenhill 1927), William Henry Mason (b. Burton on Trent 1869; a principal of the firm of Redfern & Mason, timber merchants of Burton), Alice Mary Rowland née Mason (b. Burton on Trent 1867; her husband was Joseph S. Rowland, principal of Rowland & Son, auctioneers of Burton, who also served as Mayor of Burton 1914-16). 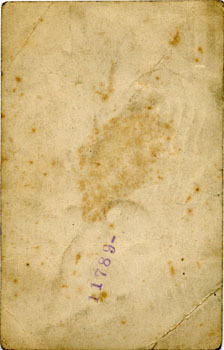 Notes: Inscribed on the reverse, "Tom Blood's sister." Bagshaw (1846) History, Gazetteer and Directory of Derbyshire. Collection of Brett Payne. 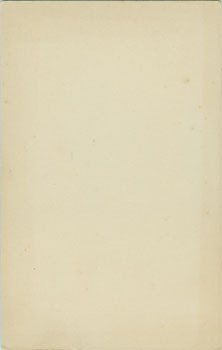 Harrison, Harrod & Co. (1860) Directory and Gazetteer of Derbyshire, London.